This is the first post of my new challenge blog focused on scene projects using images from a variety of sources such as Stampscapes. I especially like Stampscapes and am learning how to use them. I have seen many posts from designers who comment that they have these stamps and don't necessarily know what to do with them. Through this blog we can all learn together and have a place to showcase our work and win great prizes. I am looking for all levels of experience with both creating scene projects and blogging. Previous DT experience is not required, however, a blog is required. You will be asked to post 2 projects per month; one for the 1st Sunday when we introduce the challenge and one for another week during the month. Both projects will follow the challenge theme. You may create any type of paper-based project (card, box, tag, altered art, etc) as long as it is a finished project (no ATCs). I'll act as the Sr. DT Coordinator, but I will need mates who are willing to help find sponsors, suggest challenge ideas, create sketches, post tutorials (either written or video), and learn along the way. I would like this blog to be a source for ideas and techniques as well as the monthly challenges. We will all comment on assigned entries as well. The first term will be for 4 months from January 15th to May, 2012. That's only 8 projects! If you are interested in joining this new DT Team please leave a comment below, before January 10th with your name and blog address. I will contact you through the email address on your blog. Here is my first project, I followed the Mojo Monday sketch for my inspiration. So to all you scene makers out there, enter the DT Call by adding a comment with your name and blog address before January 10th. I will contact you through your blog email address. Thanks for considering this new challenge. I'll be back on the 1st with the challenge for Janauary. I love your scene. I am on the Stampscapes Yahoo group and love the beautiful things seen there. Just bought the CD that Janet puts out and am looking forward to learning. I saw this on make it Monday. Morning Nancy! Wow! The first scene posted is gorgeous! Love your layout and the warm colours you used... Well done! Guess I'd better get all the inks and stamps out to start creating! A huge welcome to our new followers! I'll be visiting your blogs to check out your beautiful handiwork! I'm looking forward to having loads of participants to share ideas with...these stamps are so versatile and beautiful! your card is absolutley gorgeous!!!!! I'm so glad that Olga let me know about your blog! What a fabulous glowing scene!!! I love the intensity of your colors, and that you only used 5 stamps to create such a beautiful scene! This scene would be so versatile with just a simple embellishment change. The flowers could become ferns or some baker's twine for a great looking masculine card. Your overall layout is awesome! Congrats and many thanks on starting this blog! I can't wait to pass the word around! I would love to be considered for this DT even though I have been an absent blogee for the past few months. I've been looking for something to focus on in 2012, and this blog could be the answer to what I've been looking for. I found out about your blog from Sheree http://vancouverislandcraftjunkie.blogspot.com/. I'm one of her followers and have been in awe of her cards. I am NOT interested in the DT call, but I love looking a fabulous cards and I will become a member. Congrats on your new adventure. Just beautiful! Thank you so much for joining us at Make it Monday and Happy New Year! Hi Nancy would love to be on team but committed enough sadly. However will definitely be adding my support and advertising it on my blog - just going over to add it to my latest post. 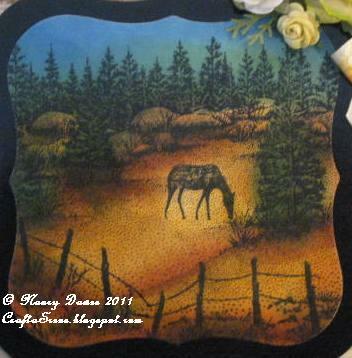 Hi Nancy, I just found out about your site from ShazinOz, as we are both fans of scenic stamping. 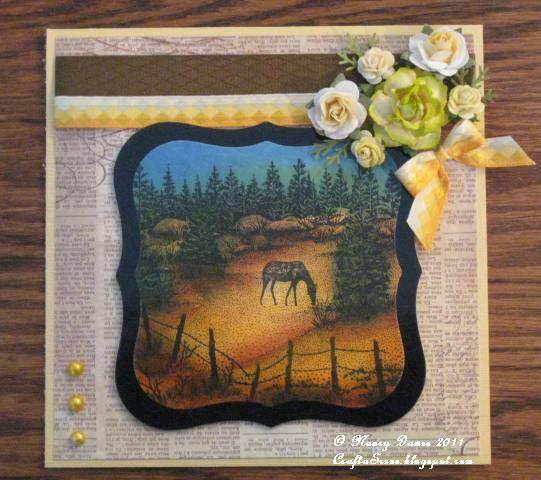 Here is a link to my blog page devoted to Stampscapes/scenic stamping. I also have links on the Stampscapes site to this tutorial page & my gallery. Thought that there was already a challenge blog out there for just about everything - but doing scenes is new and definitely inspirational. Would love the opportunity to be on DT! Lovely card. Looking forward to your challenges. Learned about you from Olga. What a wonderful idea, I would love to be included in this team. 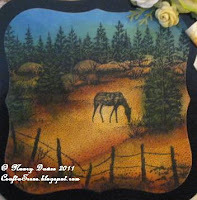 I have two blogs, a scenic one, http://scenesbysandy.blogspot.com and a card making one http://creativemomentswithsandy.blogspot.com. This is perfect timing as I have just finished up two of my DT commitments. I also teach scenic classes online at My Creative Classroom as well as being the founder/owner of the Yahoo Stampscapes II group. I found your blog through Olga, I am NOT interested in a DT position but will be very interested in the challenges. I love to make scenes with my stamps. Yours is beautiful. So glad I found this blog!! Love the stampscapes but also struggle with them sometimes!!! Always looking for ideas from talented ladies like you, thanks for sharing!!!!! I love your card and its gorgeous colors. I have many, many Stampscapes stamps. I have taken several classes. You will find a few scenes on my blog. I am currently on the Sweet Stamps Design Team. My blog is http://bonbonsdelights.blogspot.com/ I would love the opportunity to be on your DT team. Looking forward to seeing your challenges. P.S. I am not really sure what the selection of Profile is actually so for now I chose anonymous.. Do I need to create something in another format? I love creating scenes and actually have my own small stamp line called Kittie Kits "Cause a Scene" sold at Rubbernecker Stamps. I would love to be considered for your design team. Here is a link to my blog: http://kittiekraft.typepad.com/kittiekraft/ I followed a link from Shaz in Oz to find your post. Happy New Year! I discovered your blog while looking at the Mojo entries. I'm so delighted to find you. The scenes are gorgeous. This is my second reply, I would like to be considered for the Design Team. I am a little scared to say that out loud but you said you are for all kind of levels! Fabulous card and I love this idea for a challenge. I always have loved making scene cards. I would like to be consider for the design team. Even if I don't make the dt I will be playing along, this is going to be fun!